Cool! But I am not sure if I will be out of dept by then, but yesterday the BBC showed The Challenge in which an amateur girl from the UK was added to a pro team only 2 months before. She trained non-stop and they actually won teh race (being only 1 of 2 teams that finished at all within the limits). Looked really tough but great to do. Do you do this as well MikeW or are you only offering lodging? That Challenge show was on Everest last week, same concept, only the guy they picked did not even get to North Col, even after 3 tries. First time a show actually showed that Everest is quite tough.. I can ride a mountain bike in the snow, I can snowshoe (quite good actually ). I can definitely ski (my favorite sport...with mountaineering of course! ). Seriously, I would love to do a race like this. The only problem is to find crazy guys to do it with you. That's where you all come along. When you live in Québec, temperatures of -30c to -40c is no big deal, you just need the right equipment. I went to the summit of Mt Washington (New Hampshire USA) with my wife and she swore me never to bring her on other mountains. 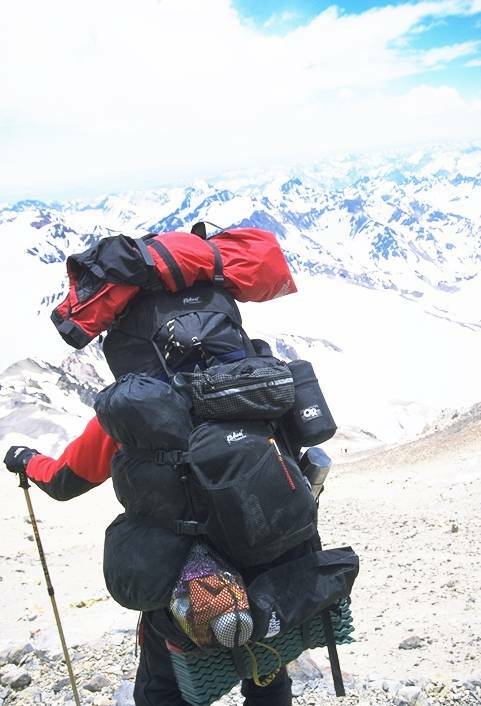 How about some training for that Denali climb of yours? hey harry, that Challenge show you were watching.. did they pick some random newbie to climb to the north col, or was this guy actually a climber.. and in great shape?